Size: 18soldout2tsoldout This item is currently out of stock! This dress is from Biscotti's Fall/Winter 2010 line. 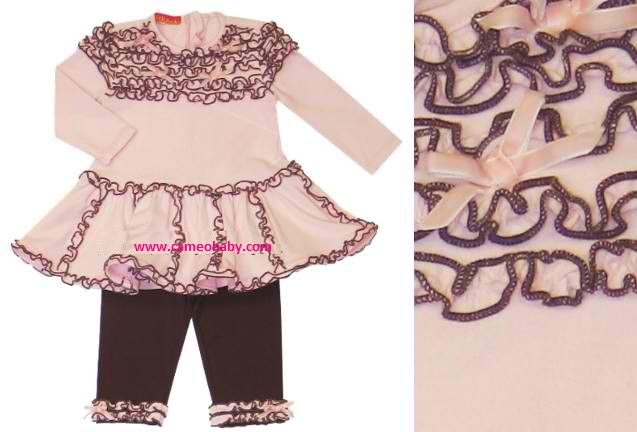 It is a pink long sleeve Brown Edging Tunic w/Brown Ruffle Bottom Leggings 2PC Set.Is now shipping.